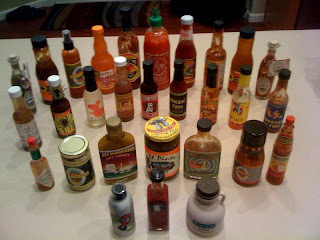 One of my instructors at High Altitude Martial Arts, Anthony, got me hooked on hot sauce. I always liked it, but now I have to buy anything I see that looks good. This is a picture of the sauce I kept after throwing away several while cleaning out the refrigerator.